HY-TEC has NATA accredited in-house facilities providing technical support for customers and projects. Please read more about our testing capabilities below. If you would like to know more about using concrete please review our Frequently Asked Questions (FAQ’s) provided by Cement Concrete and Aggregates Australia below. If there is a question that you would like an answer to, that is not listed below please feel free to email one of our technical managers. Handy tips and concrete basics. What are cracks, and how do I avoid them? What is plastic settlement cracking and how do I avoid it? What is plastic shrinkage cracking and how do I avoid it? Handy tips for concreting in hot weather. What do I look out for when concreting in cold weather? What is crazing and how do I minimise it? What is curing and what does it achieve? What is curling and what can I do to minimise it? What is dusting and how do I prevent it? What are the tolerances for concrete surfaces? What are blowholes in concrete? Helpful tips for colour and texture in concrete walling. Helpful tips for colouring, stencilling and stamping concrete flatwork. What is compaction and why is it important? Helpful hints for concrete panels in buildings. What is shrinkage and why does it occur? What is flaking and why does it occur? Helpful hints for concreting for housing. Helpful hints for off form concrete finishes. What is Honeycombing and how can it occur? What is Efflorescence in concrete? Helpful hints for concreting residential driveways and paths. 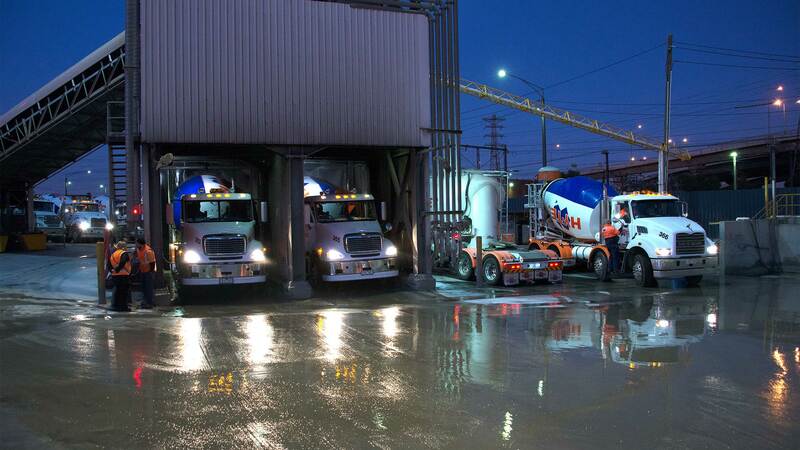 For information regarding concrete safety please visit HY-TEC’s safety page. With laboratory facilities located in New South Wales and Queensland, Hy-Tec can provide a range of technical and testing services to our customers. In addition, Hy-tec has access to external testing facilities to support our customer requirements, as well as the capability to undertake concrete testing on-site at customer specified frequencies.